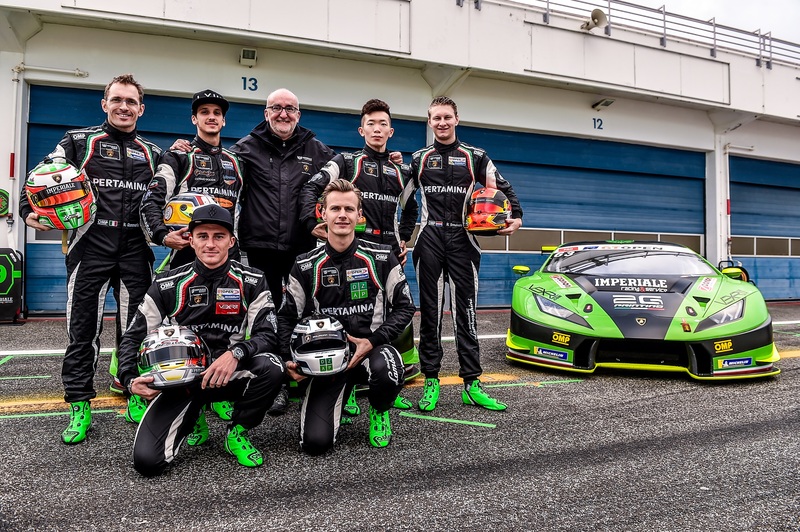 17.04.2018 – A very positive performance has kicked off Imperiale Racing’s campaign in International GT Open 2018. 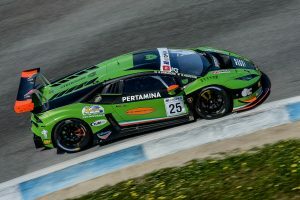 The Italian outfit has scored two-second places with Venturini-Mul and a third with Agostini-Breukers on the Portuguese circuit. Such a result arrived at the end of an unpredictable weekend that had changing weather conditions and grip levels not always optimal, which required hard work from all the team to allow drivers to show their potential on track. 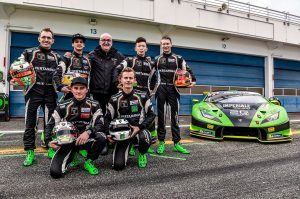 The Lamborghini Huracáns GT3 run by Imperiale Racing have been protagonist since the beginning with the lineups made by Giovanni Venturini – Jeroen Mul (#63), Riccardo Agostini – Rik Breukers (#25), Raffaele Giammaria – Jiatong Liang (#19) that have put in great times since free practice. In Q1, Venturini fought for the pole position for the whole session, closing with the second quickest time in 1’36.530s, that earned him a front row start for the opening race of the season. Rik Breukers had also a very positive qualifying on the #25 car, that he placed in P4 with a best lap of 1’36.825s, while Raffaele Giammaria posted a 1’37.429s on the #19, that was ninth quickest. The single-lap performance was then confirmed on Sunday morning in Q2 on the wet. Jeroen Mul qualified again his #63 car in second place in 1’48.824s, and was followed by Riccardo Agostini in P4 in 1’49.736s. Jiatong Liang closed his maiden qualifying in this championship in 13th place with a best loop of 1’51.731s. Race one was run in dry conditions, and awarded strong emotions, as Venturini had a go at getting the lead of the race at turn one on the #63 car. The Italian kept the second place with great determination afterwards until the pit stop, when his teammate took over. Mul found a great race pace that allowed him to keep the position all the way to the flag when he secured the first important podium of the season for Imperiale Racing. The race of the other two Lamborghini Huracáns GT3 has been more complex though. Breukers had a contact with the #62 Mercedes AMG GT3 at the start and was forced to an early retirement. 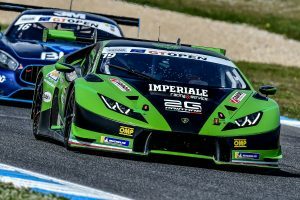 Giammaria put in several successful overtaking moves on the #19 and engaged in a spectacular battle with the #27Lamborghini Huracán GT3 of Fabrizio Crestani for P7, but a contact between the two saw Imperiale Racing’s driver spinning and losing several positions. After the pit stop, Jiatong Liang had the challenge of trying a comeback in this first race in International GT Open. The Chinese driver managed to recover several positions and closed his effort in 15th place, which was the fifth of Pro AM. Race two has been quite interesting for the #25 cart with Agostini losing one position early on, but then driving aggressively and managing to get P4 back a few laps before the pit stop. The great timing for the pit stop allowed Breukers to get back on track in the right moment and managed to climb the classification up to taking the lead of the race. In the finale, a successful move by the #51 Ferrari 488 GT3 and the following penalty for driving outside track limits relegated Imperiale’s pairing to the third place. Mul has been absolute protagonist on the #63 challenger for the whole stint, keeping P2 after also leading the order for the initial laps. Venturini completed the race with his experience crossing the line in P3, before being promoted to P2 due to the penalty handed to the #25 car. These performances rewarded Imperiale Racing with the first double podium of the season. The performance of the #19 car has also been positive. Liang tried not to make mistakes in the initial stages in the mid-pack and engaged in some battles before handing the wheel over to his co-equiper. Giammaria then kept a very high race pace and recovered eight places up to P11, that was the fifth of Pro AM. 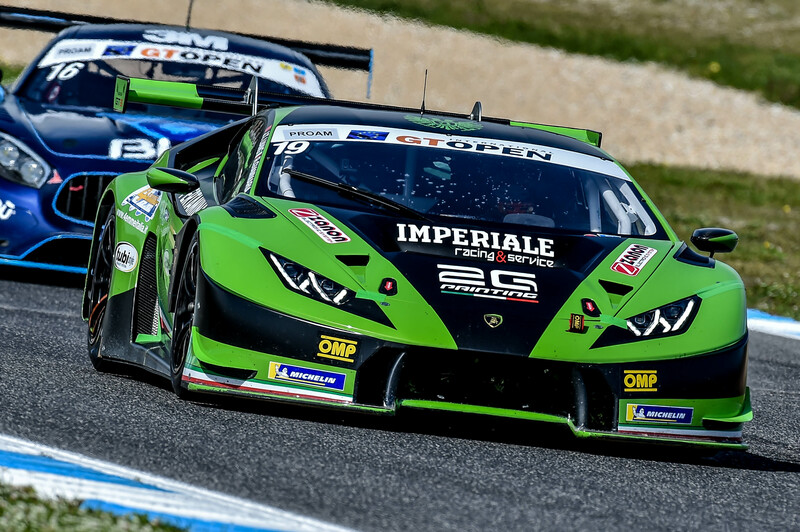 Imperiale Racing will get back on track for the second round of the International GT Open 2018 next May 4-6 at the Paul Ricard circuit in Le Castellet (FRA).